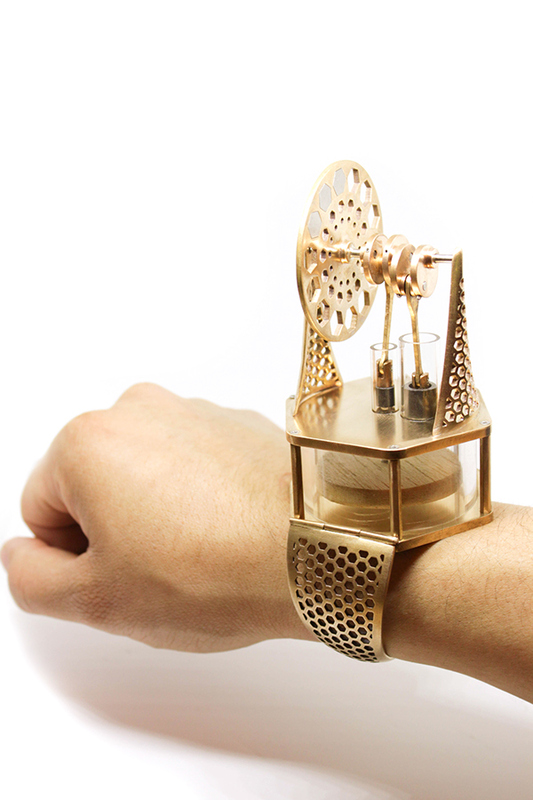 The latest in my series of "absurdly functional" pieces is The Not-So-Sterling Stirling Engine bracelet. 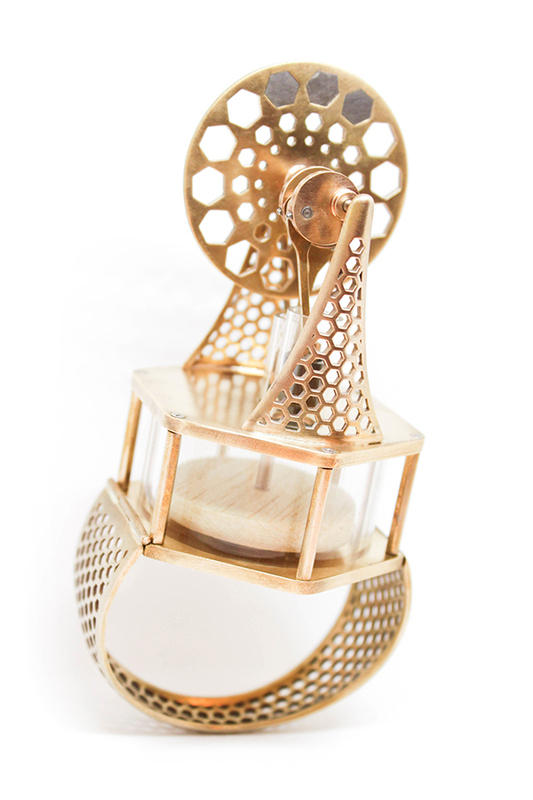 This piece is currently a non-functional wearable Stirling engine intended to run off of the wearer's body heat. 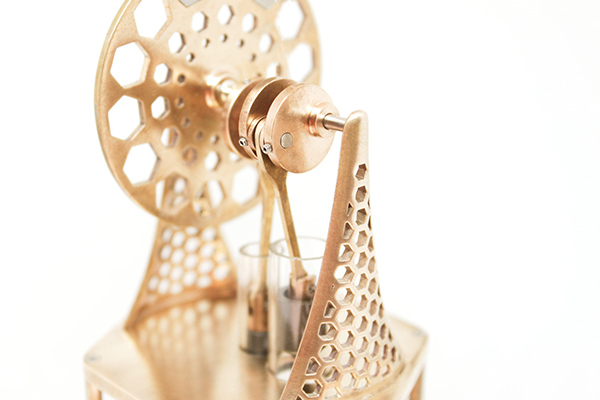 A Gamma Stirling Engine is a simple engine that runs off of a heat differential between a thermally conductive top and bottom plate, sometimes even when the difference is only a few degrees. 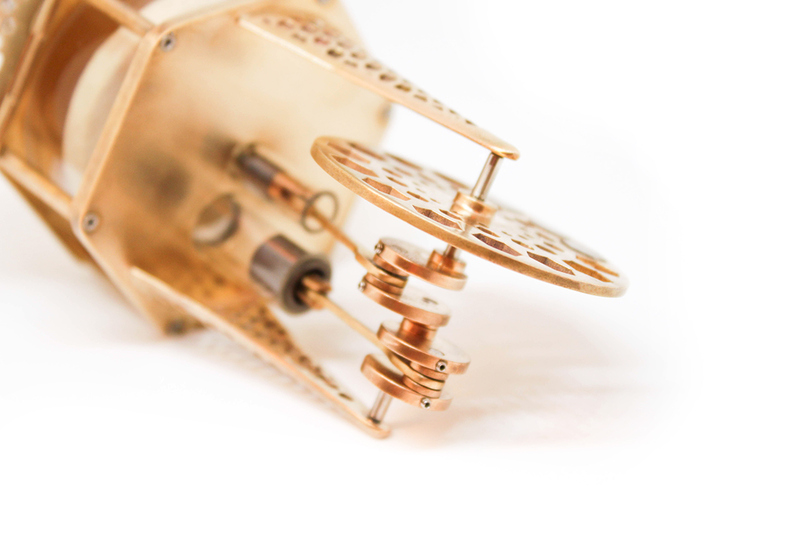 Thus, this wearable Stirling engine could theoretically run off of the wearer's body heat if the surrounding atmosphere was cold enough. Currently it does not run without being spun by hand, but hopefully with some more tweaking it will be able to. 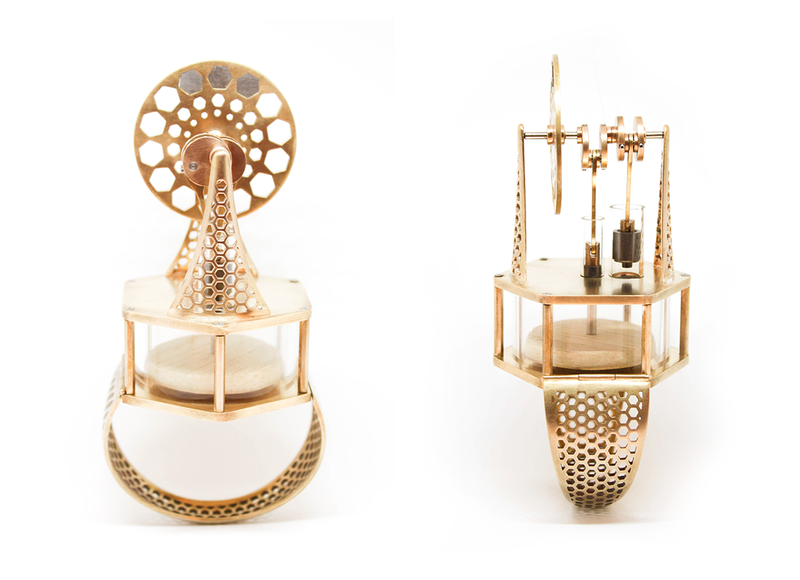 The piece is primarily created from cast, milled, turned and hand-cut bronze, but is also consists of two graphite and glass pistons, an acrylic chamber, balsa wood displacer, and a whole lot of steel rods and screws. Thank you to Bruce Schena for all of your help with the engineering components of this project, I couldn't have done it without you.